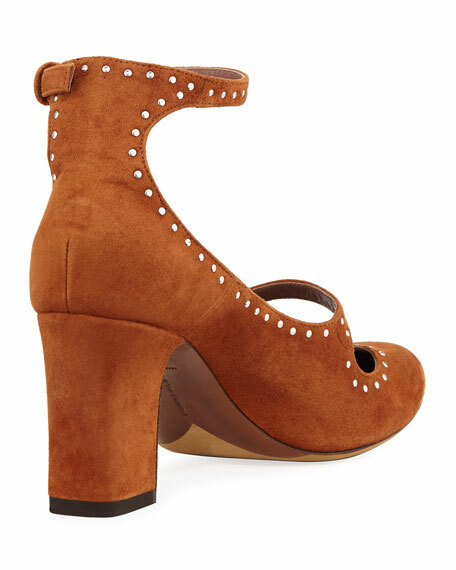 Tabitha Simmons kid suede pump with mini stud trim. "Tutu" is made in Italy. For in-store inquiries, use sku #2151894. 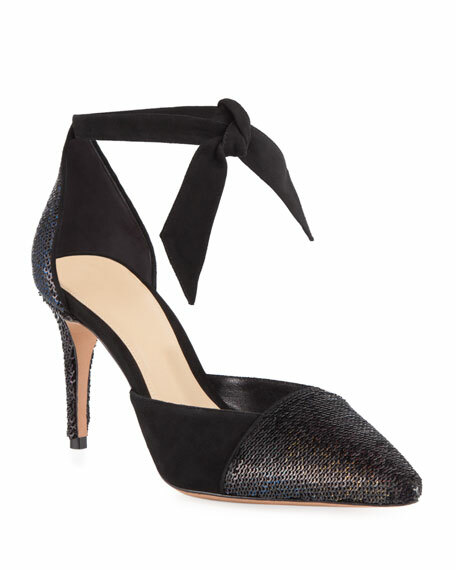 Alexandre Birman suede pump. 3" covered stiletto heel. Pointed toe. Notch vamp. Self-tie ankle wrap. Leather lining and sole. "Sally" is made in Brazil. 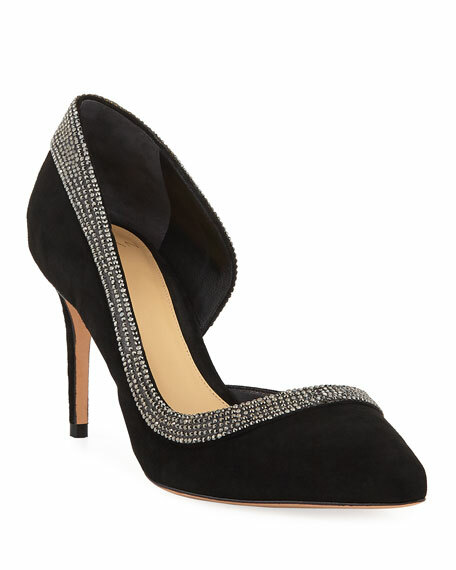 Alexandre Birman suede pump with crystal trim. 3" covered heel. Pointed toe. Half-d'Orsay silhouette. Leather lining and sole. Made in Brazil. 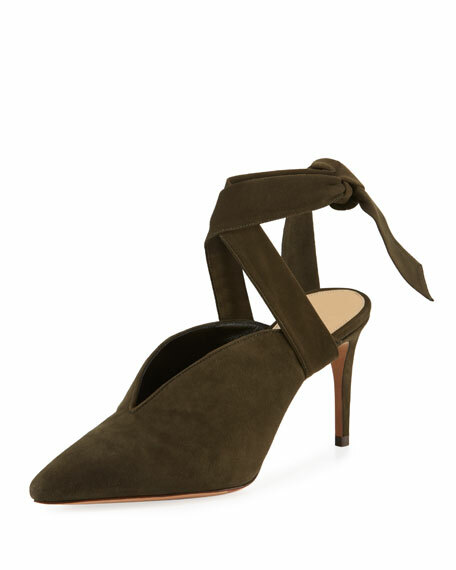 Aquazzura "Holli" suede pump. 4.3" covered block heel. Round toe. Curvy-caged vamp. Front ankle tie; back zip. Leather lining and sole. Made in Italy.